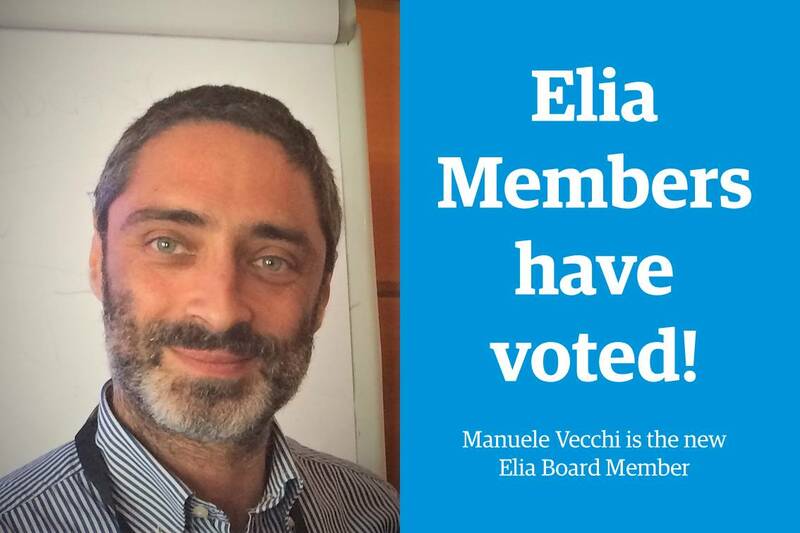 The Elia Members cast their votes for the 2017 Extraordinary Election for the Board of Directors and have chosen Manuele Vecchi as its new member. Manuele will take office on 1 January 2018 as Roberto Ganzerli steps down on 31 December 2017. This is a chance for Elia to welcome Manuele on the Board with open arms and, at the same time, express the deepest gratitude to Roberto for his time and effort as a Member of the Board these past years. We would like to thank all of the Elia Members for expressing their preference in voting and, once again, wish everyone a Merry Christmas and a Happy New Year.